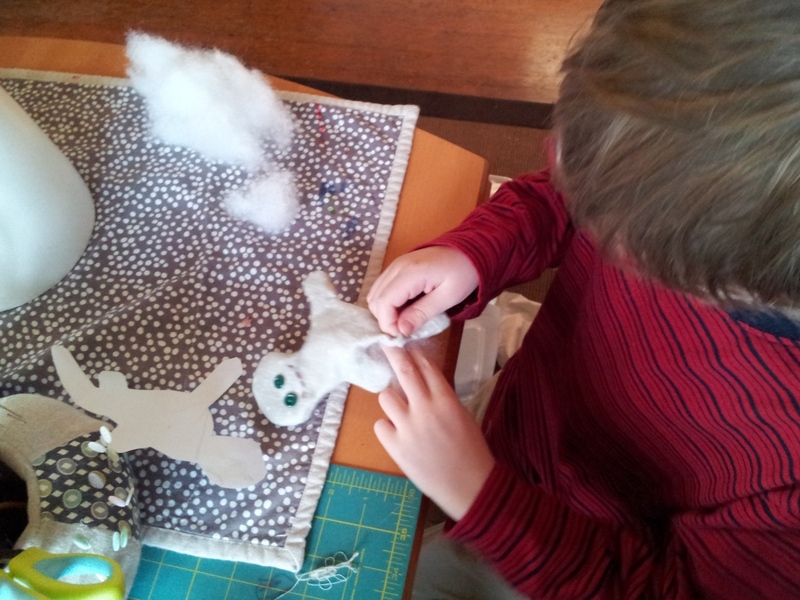 Smack dab in the middle of the holiday rush a couple of months ago, my 6-year-old Ben came up to me and asked if we could make a stuffie together. The transition to First Grade has been a bit rough on my big boy: there have been meltdowns galore and less-than-stellar behavior, along with much need for hugs, cuddles and quality time together. 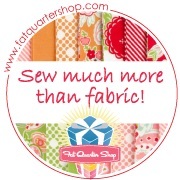 Even though I was swamped with holiday sewing and craft show prep, I caved and said "okay". I'm so glad I did! 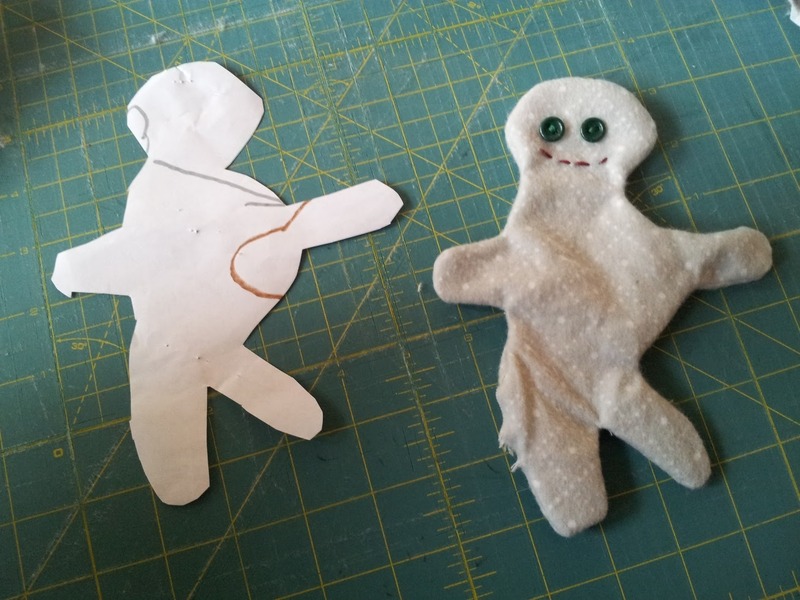 In just about an hour, we'd worked together on a fun little project and created an adorable plush zombie! When we work on a project together, Ben often jumps in with a very specific idea in mind (see Halloween costumes for examples) and this was no different. 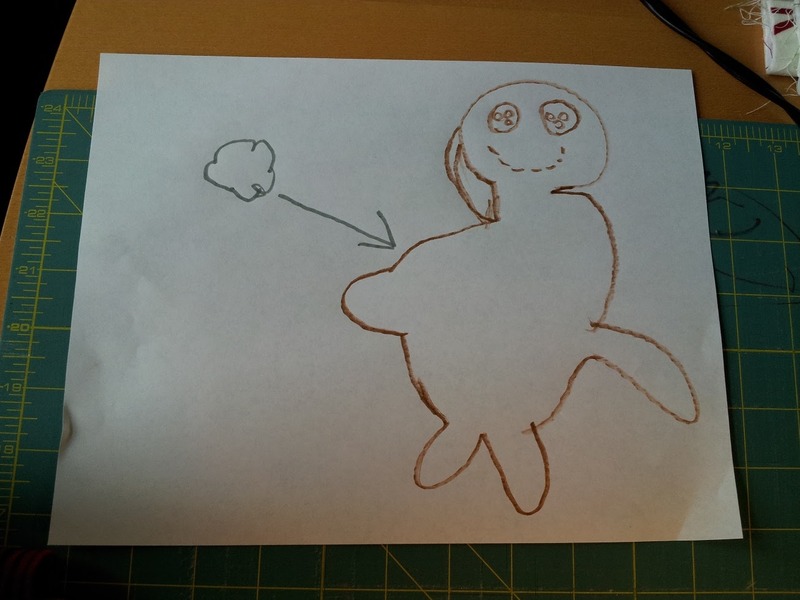 He drew me a picture of the "zombie stuffie" he wanted to make, illustrated with a little cloud of polyfill. We dove right in. Ben first chose fabric from my overflowing box of scraps: a piece of soft grey and white flannel left over from the backing of Hugo's quilt. 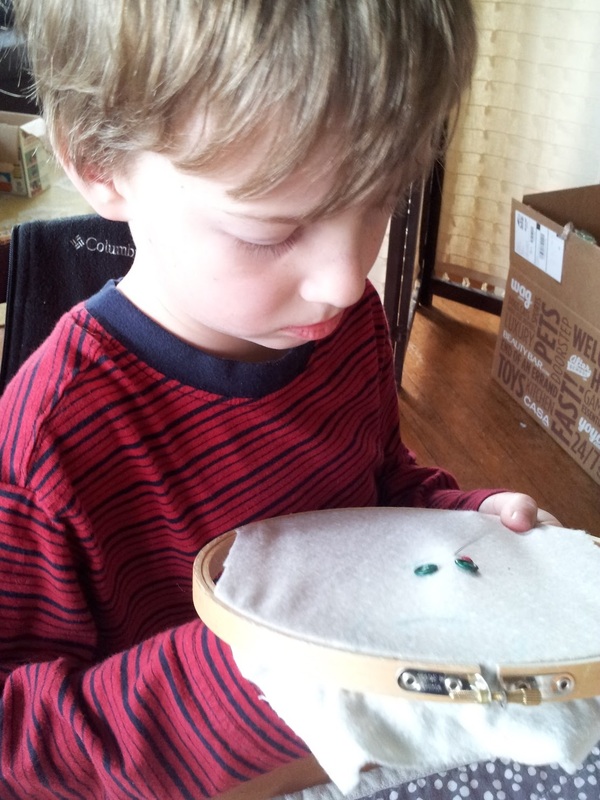 He picked two matching emerald buttons from my button stash for the eyes. I helped him with stitching the buttons on, but he stitched the mouth on his own with bright red floss. I layered the embroidered fabric right sides together with another. 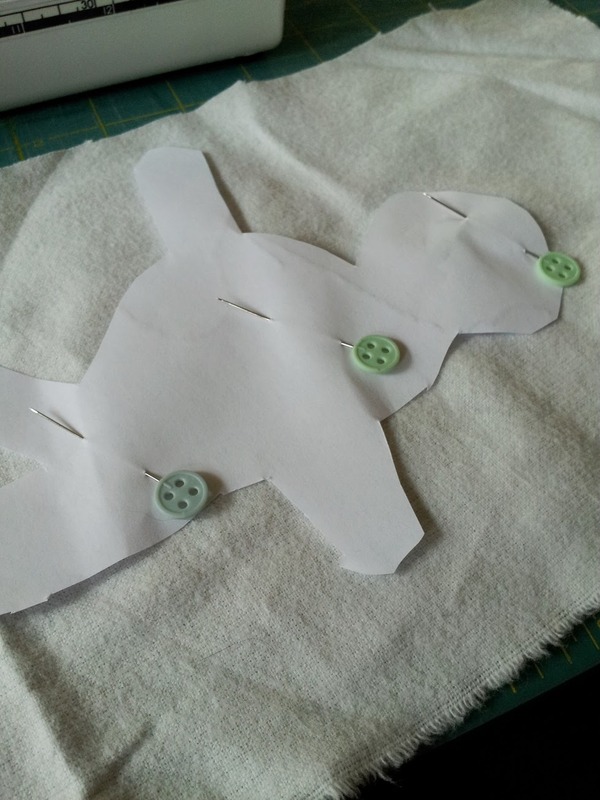 I cut out the zombie "pattern" and pinned it on the fabric, making sure to fit the embroidery in the head area. 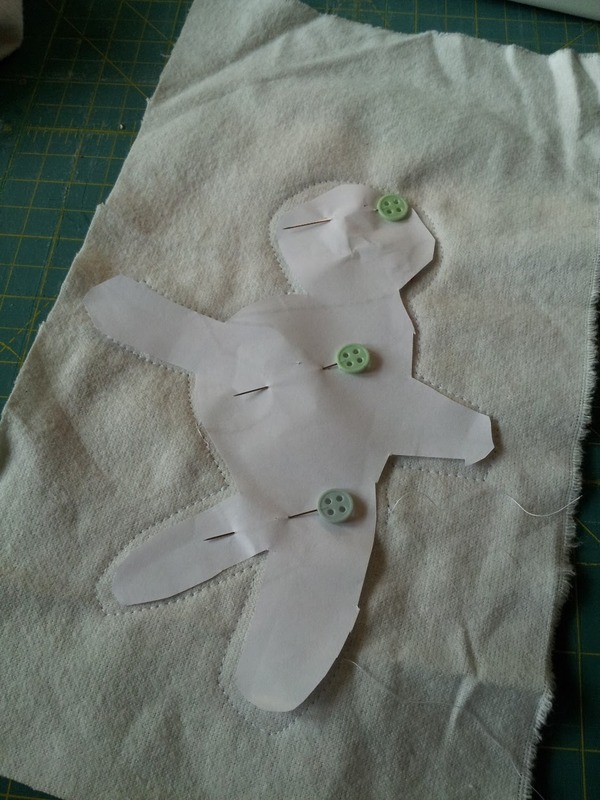 I then used my machine to sew about 1/8-1/4 inch all around the outline, leaving a 2-inch opening on the side of the torso. 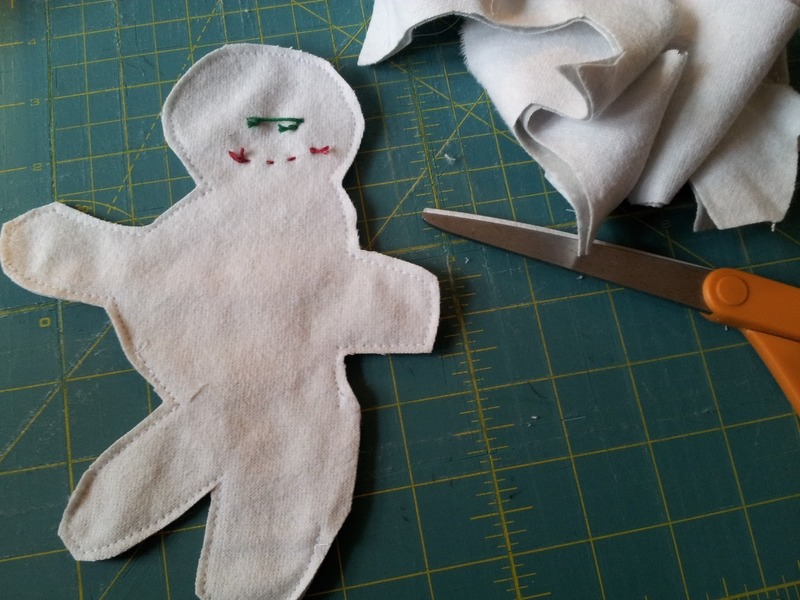 I carefully cut around the stitches, clipping seam allowance inside the angles between the limbs. We turned the stuffie inside out and gently poked the limbs out with a chopstick. Ta-da! Ben was in charge of stuffing. 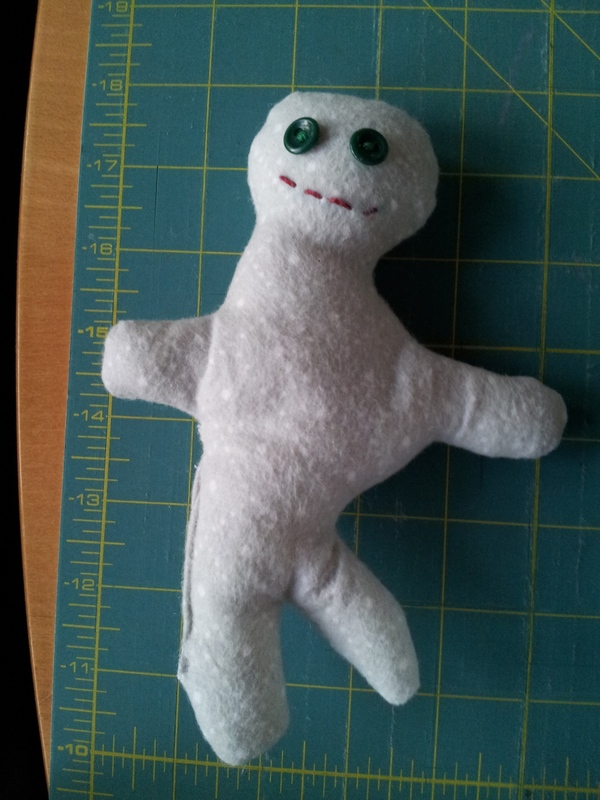 He needed a bit of help to make sure the polyfill made it into the arms and legs, but otherwise handled it like a pro. 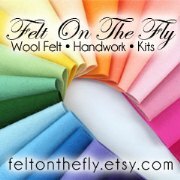 I pinned and machine-stitched the opening closed, and we were done! I think it turned out super cute. It definitely looks kid-made and Ben loves it! 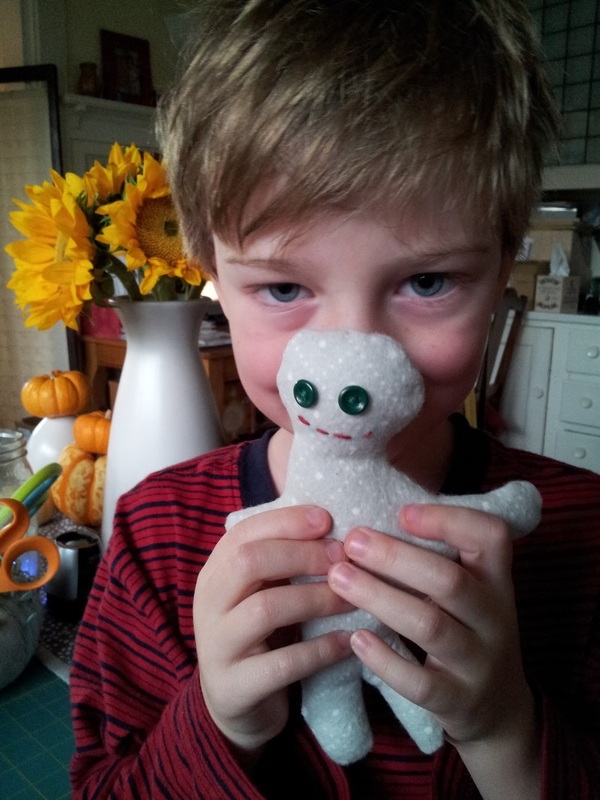 He calls it Mingu and has slept with it every single night since we made it. So sweet! We also made a lion version for his best friend for Christmas. 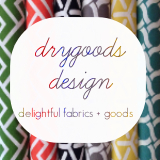 I am terrible about prepping craft projects on which to work with the kiddos. 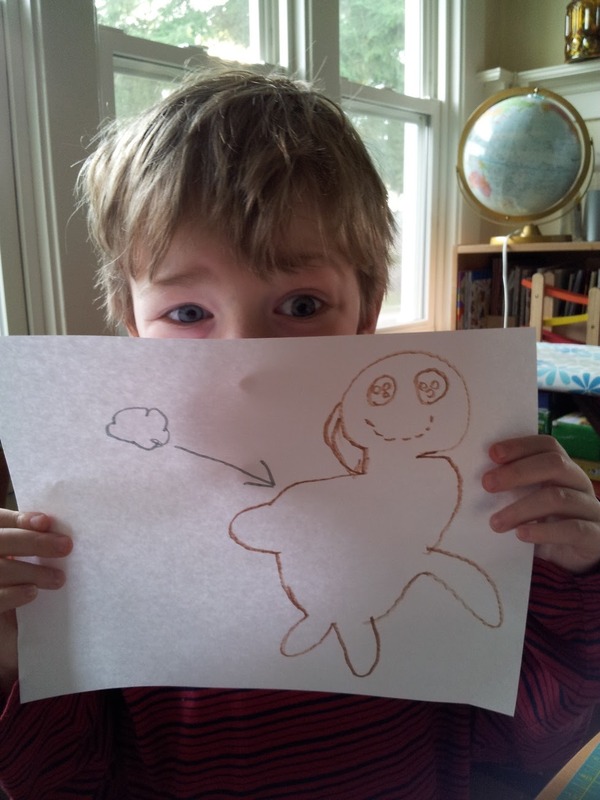 I love this type of kid-led spur-of-the-moment instant gratification project. How about you? Super cute! When you have a lot going on it can be hard to say 'yes' but then is always worth it! I like the way how you keep your children in touch, I wish I could do the same, I miss those days where my daughter used to saw with me, well can't help it, it's a part of growing up at all. love it..good to see a child get involved with crafting..